Is This the Most Parisian Restaurant in Paris? Talking local ingredients and graffiti with Septime Chef Bertrand Grébaut plus tips for snagging a reservation. 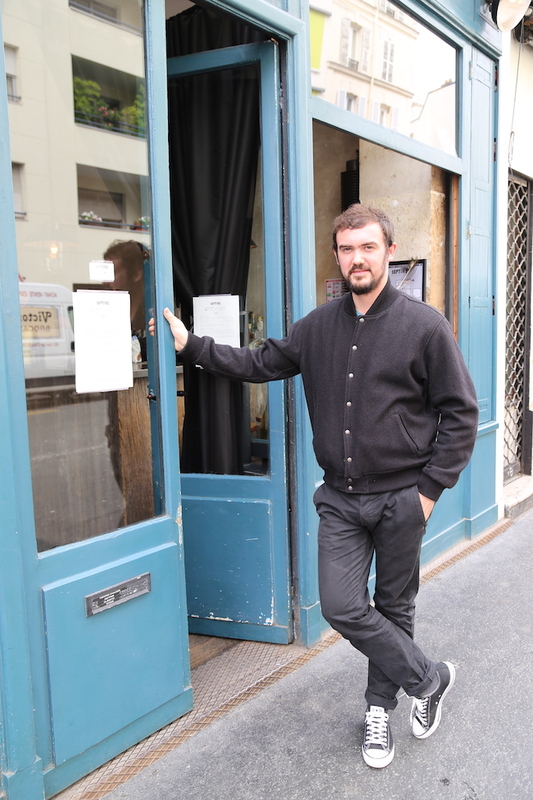 While it’s true that many non-French chefs have helped reinvigorate Paris’s dining scene in recent years, there are plenty of native sons who are contributing immensely. I think the neo-bistro Septime, owned and operated by two Frenchmen, really pulls together all that is exciting and good about eating right now in Paris. 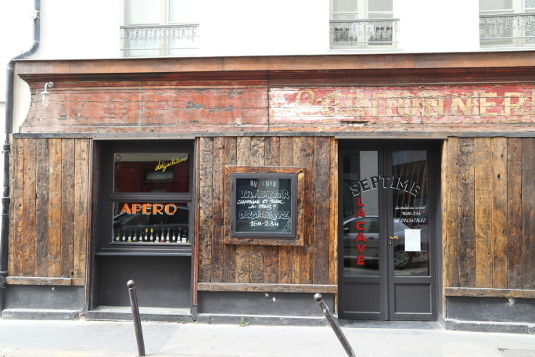 Bertrand Grébaut and his business partner Théo Pourriat opened Septime in 2011 and it has become one of the most sought after reservations in the city. Head Chef of Septime Bertrand Grébaut. Septime is currently ranked 40 on the World’s 50 Best Restaurants List. Foodies, critics and celebrities have all fallen for Septime’s affordable tasting menus that showcase Grebaut’s simple, unfussy cooking style using local ingredients. The restaurant’s décor with industrial fixtures, plain white walls and natural wood furnishings strikes the right balance between rustic and modern. 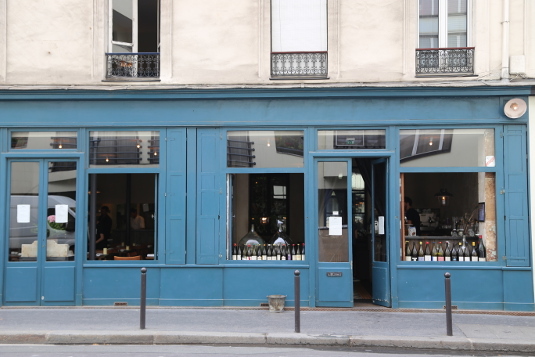 Septime earned its first Michelin star in 2014 and Grébaut and Theo’s two other projects, Septime La Cave, a natural wine bar, and Clamato, an oyster and raw bar, are bringing more and more people to this burgeoning section of the 11th arrondissement. I interviewed Septime’s opinionated and brilliant chef who favors converse and t-shirts when not in the kitchen. I’ve heard you have a very diverse background. When did you decide you wanted to be a chef? In 2003 I was working as a graphic designer with some friends making logotype disc jackets. I found it was boring to be 12 hours a day in front of a computer so I decided to look for something else. At this time I loved eating and drinking wine and so I decided to try cooking school. I loved it. I passed the basic exam and then I did some stages in Michelin starred restaurants like Robuchon and then I arrived at L’Arpège, Alain Passard’s restaurant. What did you learn at L’Arpège? Before L’Arpège I worked at many restaurants. The most important was Robuchon. At Robuchon, I learned technique. At L’Arpège, it was the first time I heard about sensibility and seasoning and balance and all these important words. At L’Arpège I learned how not to be mediocre. Is it true you were a graffiti artist? Yes. I used to be a graffiti artist. I don’t know why all the journalists really love that story. Actually, I studied graphic design in school because the only thing I loved at the time was graffiti, but yes I used to be, but not so much artist, more vandal then artist. I think people find it interesting because maybe it says something about your personality– that you’re willing to challenge authority. Are there any similarities between being a graffiti artist and being a chef? The adrenaline you can get during the service in the kitchen. It’s the only thing that reminds me of the adrenaline you get when you do something illegal like graffiti. That’s the first thing. Then there’s the way to put the components on the plate. When you put some color on the white plate it’s like paint on a white wall, it’s kind of like graffiti. Do you think food is art? I’m sure food is not art. I have so much to say in French about that. No, it’s super different. There is a little of art in food, but making food every day, every service for people the same thing, it’s not art. The difficulties of the work, to be there every day at 8 in the morning until midnight it’s not art. People have to know that this job is super hard. To be a cook, it’s not to be an artist really I insist. The first thing is, I love eating. I also love the dynamics and energy of the job and it’s varied. I love cooking. I love the service. I love managing people. I love the business in general. I love the whole thing, not only to be a cook. What makes Septime different than other restaurants in Paris? I think it’s the whole thing. It’s a special place. The design of the place is good and quite timeless. The prices are quite low. We don’t work only for money. We want to do something for everybody. Also, the service is super friendly. It’s easy in Paris to be more friendly than the other restaurants because French people are super bad in service. The food is simple but creative. It’s prices, atmosphere, service and food, the whole thing. Is it true you only use ingredients from France? 90 percent are from France. Just the olive oil and lemon are from Sicily. Most of the food is from France and every product is natural with no chemicals. I think it’s necessary. It’s ecologic. It’s to keep the French identity and even the Parisian identity. Half of the products are coming from around Paris. 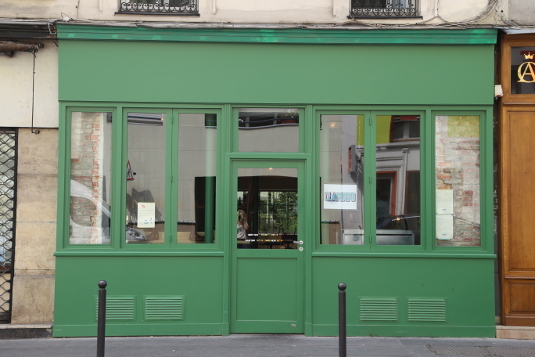 Do you think some restaurants in Paris are losing their identity? Yes, a lot. We are losing good bistros, we’re losing lots of things, but I think Septime is really Parisian. It’s important for me. Your newer restaurants have also been very successful. Did you make a conscious decision to open other concepts in the same area rather than opening in other parts of Paris or even other parts of the world? Actually, we have a lot of people who want to export Septime and Clamato in the world, but I don’t want it. The only reason I could do it is if it’s for money so I don’t want it. I love to go to work and see the three places really close and I can come here and check the tomato salad and go to Clamato and taste something and say hello to a client and do the menu and degustation and be close. The proximity is really good. Are there any ingredients you’re really excited about using right now at Septime? It’s the really short season of line-caught red tuna from Basque country. It’s a super artisanal way of fishing and the season is really short, like one or two months maximum. This week we got a 50-kilogram tuna. It’s a super good, fantastic product. It’s the best period of the year for tomato, tuna, fruits, greens, everything. Would you like to do more in this neighborhood? I think about a boulangerie but I have no plans. I would love to cook breakfast. Maybe in the future, we could do a hotel here or wherever. For now, I just want to be at Septime every day to raise the bar. The one and only Septime. Septime is open Monday-Friday for dinner and Tuesday-Friday for lunch. Don’t even think about going without a reservation. To reserve call or try the online booking system three weeks to the day before you want to go. Travelproper tip: Booking at Septime is often difficult for out of town visitors because of the time change and the way reservations get snapped up. If you happen to know someone living in Paris, see if they can make the reservation for you by calling or going in person (this has worked for us in the past). Make sure to buy them a nice bottle of wine or better yet, take them with you to dinner. Also, be open to lunch. Sometimes those reservations are easier to snag. Clamato was inspired by Maison Premiere in Brooklyn and Fiskebar in Copenhagen. Clamato is Grébaut and Pourriat’s newest venture. It opened in November 2013 and focuses on raw seafood and oysters. “In every restaurant, you need a chimney and there is no chimney so we were obliged to do something with raw food,” said Grébaut. Clamato does not accept reservations and is open for dinner Wednesday-Sunday and for lunch Saturday and Sunday, but be prepared to wait. It’s extremely popular. Septime La Cave is located in a former Cordonnerie or cobbler shop. Luckily, if there’s a long wait at Clamato you can pop into Septime La Cave, a wine shop and bar where you can try natural wines and snack on small bites (they’ll even call you here when your table is ready). Try the anchovy with ricotta if they have it. It’s open Tuesday-Saturday. Need to know where to stay on your trip? Check out Part Two of my Paris Guide including, hotels, markets, events and day trips.